Venice (city of masks, canals and gondolas) is also the perfect place from which to explore other gems in the Veneto region. 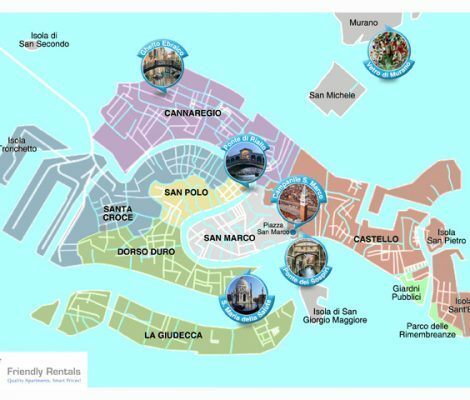 Discover some of the trips you can take from Venice and enjoy the surroundings. Typical Dishes in Venice. How Many Do You Know? 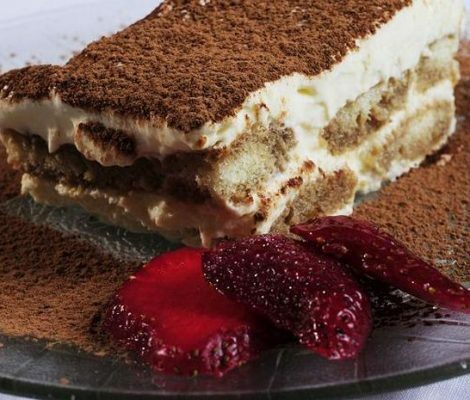 Venetian cuisine is deeply rooted in traditional Mediterranean flavours. Given its lagoon location, it’s no surprise that many typical Venetian dishes are based on seafood (fish and shellfish), although you’ll also find many other ingredients, such as rice, fresh vegetables and polenta. 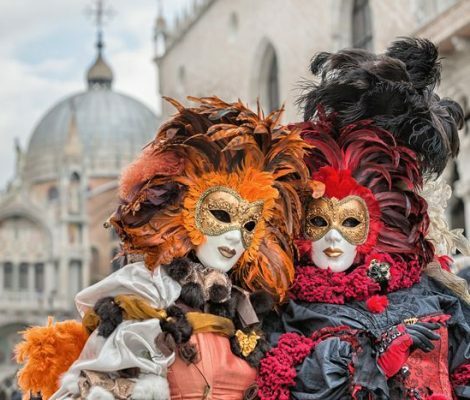 Oscar Wilde once said: “Give a man a mask and he’ll tell you the truth.” Many weird and wonderful things have been revealed over the centuries by the masks at the Venice Carnival. Perhaps that’s why the city of a thousand canals has an air of mystery about it that sets it apart from the rest. 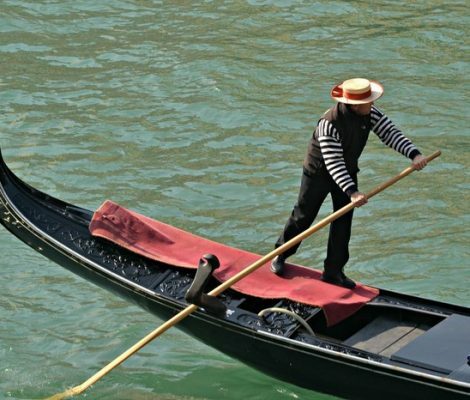 If you’re going to Venice soon, you’re bound to have thought of taking a gondola ride. But you might not have thought of steering the gondola yourself! 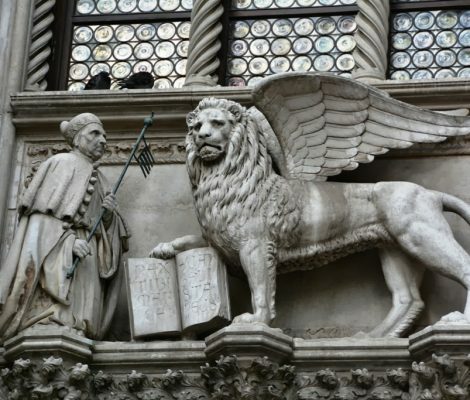 One the most immediately recognisable buildings in Venice is the Doge’s Palace. 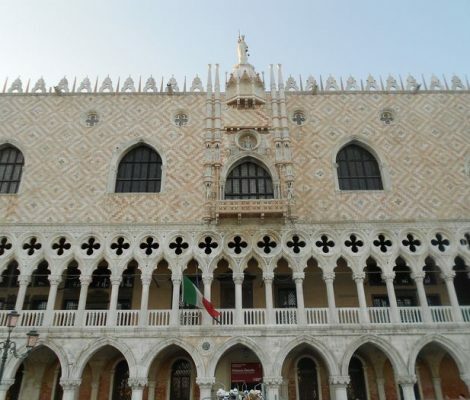 For almost seven centuries, this imposing palace was the residence of the Doge, the head of the Republic of Venice. From here he meted out justice, gaoled prisoners and governed Venice. 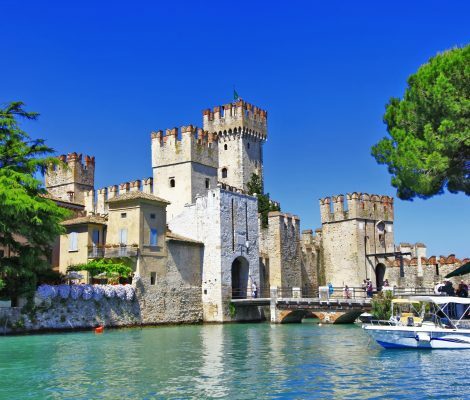 You’ll have heard all about the hundred islands that Venice is built upon, not to mention its bridges, gondolas and Carnival. But you might not know quite as much about its different districts. Venice is divided into six neighbourhoods, or sestieri as they’re called in La Serenissima, each with their own personality. It’s worth finding out a bit more about them before booking your accommodation. 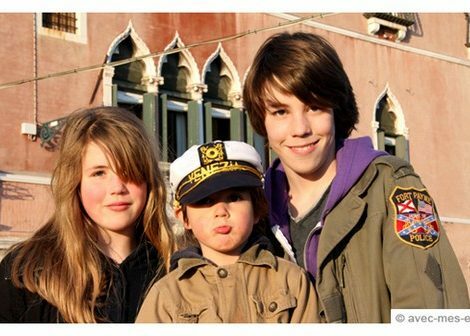 Canals, palaces, gondolas and carnival masks: Venice is so unique and fascinating that everyone is immediately enchanted, including children! Venice is more than just a small archipelago joined by bridges and separated by canals. It has a special relationship with water, well more than just water, there is also carnival, bridges, stately palaces and mansions and much more you simply can’t find in other cities. 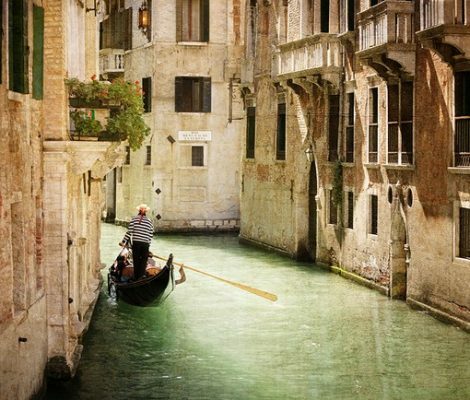 These photos of Venice capture the essence of ‘La Serenissima’. 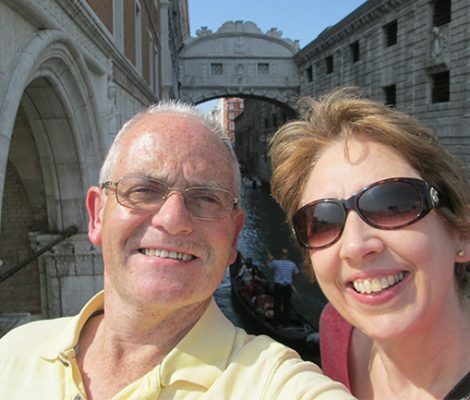 Today’s post is about Venice and we are steering well clear of the stereotypical. There will be no gondolas or gondoliers, no mention of carnival or masks, no glass blowing and you can forget about the canals. We aren’t going anywhere near these topics instead we are going to discuss some of Venice’s curiosities. So follow us as we jump into a gondola to cruise the canals in our masks during carnival to uncover some of what makes Venice special. Ooops!